This is not so much an app as it is a feature of Windows Phone (currently a Verizon exclusive). It allows you to make the most of your plan, It tracks how much data you’ve used, how much you have left, optimizes your web browser, and helps you find nearby Wi-Fi hotspots. This was of critical importance for me as I purchased a 100MB data plan for the two week trip and this help me track my data consumption precisely and even provided defense against overages. The people of Paris I encountered were mostly bilingual and extremely friendly, however, I made a decision to learn as many French terms as possible. Babbel is a fantastic app that offers a multi-media approach to teaching phrases and terms (13 languages). You can actually focus on a particular topic like transportation, shopping or hotels. I had the app for about 4 weeks prior to the trip and was able to speak French with enough clarity to get by. The whole juggling between Airplane Mode, and needing to connect to available Wi-Fi networks can get you doing some pretty repetitive actions. Network Dashboard provides a quick, at a glance view into the network status on your Windows Phone. A simple tap on a tile and you can quickly change the settings. Tap and hold a tile and you can pin it to the Start menu for quick and easy access! While you are on vacation in a great city and manage to catch a quiet moment in or near a monument then I advise all budding photographers to capture and share a Photosynth. They provide an interactive view of your location that can you Geotag and share with friends. Photosynth is the acknowledged leader in mobile panorama creation. It is the only app available on Windows Phone that allows you to capture 360 degrees horizontally and vertically, making a perfect “sphere." Bing Translator is your companion when you need to overcome the language barrier. You can use your camera, voice or keyboard to enter text you want to translate. I used Bing Translator on-the-go, even when I didn’t have an Internet connection (download language packs before hand). I used this to translate signs and menus (especially in museums) or any printed text with my camera. HERE Drive (aka Nokia Drive+) with true offline, turn-by-turn voice navigation optimized for drivers. With turn-by-turn, voice-guided directions and an interface built with drivers in mind, HERE Drive Beta helps you get there safely, even without a data connection. I would have loved to see this app function for pedestrians in big cities but this app got me reoriented on several occasions. On a related topic I was surprised at the lack of support for Here Transit in Paris. It just seems like the Paris Metro system was designed for such an app. The United Airlines app provided helpful features during the six flights I was forced to negotiate. I could Check-in and get mobile boarding pass storage. Once your travel is booked, you can access your reservations, change seats, add to your device calendar or send your itinerary via email. 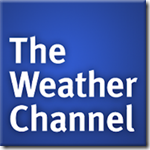 This is a solid app and one I use for day to day checks on weather. I love the fact that you can pin as many cities as you like to your home page and quickly dive into detail weather updates on any given region.